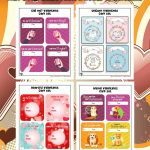 Although Valentine’s Day is right around the corner, I saw Valentine merchandise in the stores even before the holidays were over! 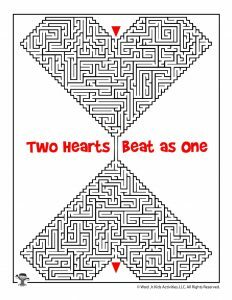 I’m always #TeamStickToTheSeason, honestly. 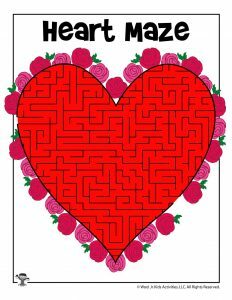 But it really is the season of love right now, so we’re sharing some great new heart mazes! 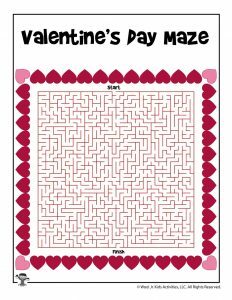 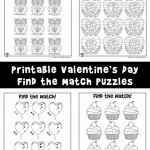 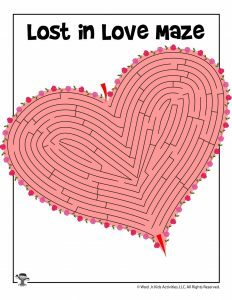 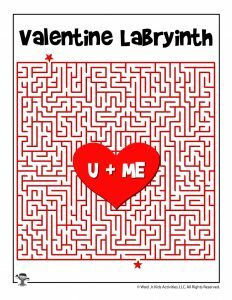 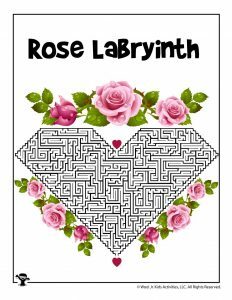 We have some easier Valentine mazes from years ago, but this set is definitely more challenging and appropriate for older children. 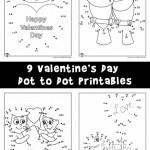 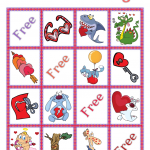 They can even be printed out, scrolled up, and tied with a ribbon to give as a Valentine card exchange. 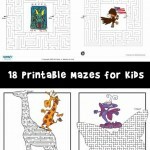 Or alternatively, bring a stack to the classroom party so that everyone can enjoy them! 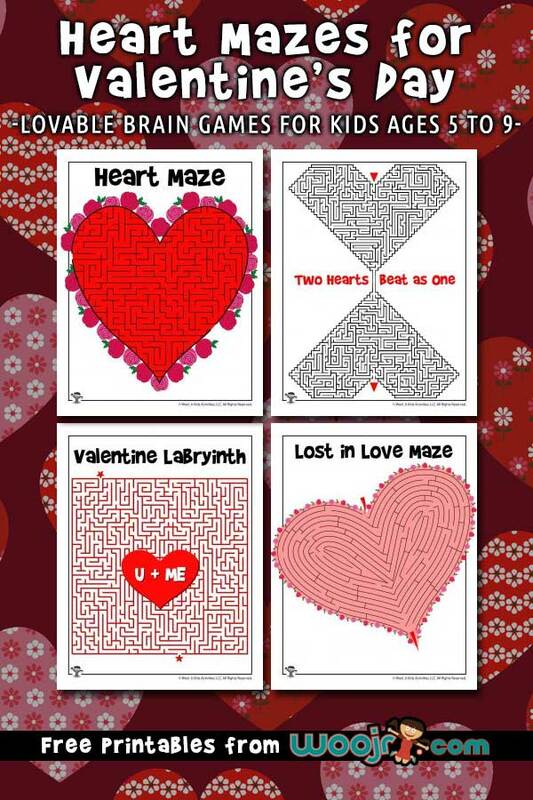 You’ll probably also love our Valentine’s Day hidden pictures!